While these statements made by the President, who is an avid motorcycle rider and member of one of the oldest motorcycle clubs here in the Philippines, was met with applause at the Iloilo Convention Center and seemed like cause to celebrate for many motorcycle riders, it's not that simple. Like in the past, when alerted to the prospect of amending the law when it comes to the Implementing Rules and Regulations (IRR), we consulted with our legal expert and avid motorcyclist, Atty. Paul Yusi. Looks like we need to hold on to our horses. “... the law still needs to be amended to conform with the part the President said he will try to address like (a) the alternative front sticker or decal, (b) reduction of penalty from 50k to 10k at least, starting by talking to Sen Gordon,” said Atty. Yusi. From his legal standpoint, mere words or sugar-coated speeches will not amend or repeal the law. “He still mentions Gordon because valid changes will have to made by an amendatory law. Nothing more nothing else,” added Atty. Yusi. To amend a law, a new law (amending the previous) needs to be passed by both the Congress and the Senate. 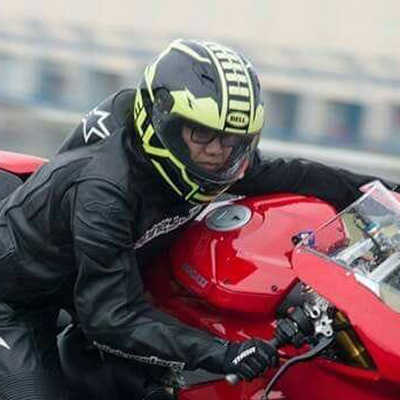 There is another way however, that falls within the Executive Branch's powers to appease the motorcycle riding public in suspending the Doble Plaka Law, according to Atty Yusi. For now, we can only hold our breath and hope that the President was indeed serious when he said he will suspend the implementation of the Motorcycle Crime Prevention Act (RA 11235), which he signed into law on March 8 2019 until amendments are made. Last year, during the 24th Annual National Convention of Motorcycle Club of the Philippines held at Legazpi City Albay, President Duterte also said during his speech that, due to “anarchy in the streets” (lots of motorcycle-related accidents because almost anyone can buy a motorcycle), he will direct the Philippine National Police-Highway Patrol Group (PNP-HPG) and the LTO to make motorcycle rider training mandatory. Almost a year later, the PNP-HPG or the LTO has yet to launch a project in line with the President's mandatory rider training order. “Note the law requires a registration or re-regisgration (already registered) of all MCs by June 30, 2019. This requirement, if not followed, will result in a violation of the existing laws on registration of MC [motorcycle] vehicles, which must be covered by the proposed EO. Re-registration will entail additional expenses of a multitude of MCs, thus cost to owners and income to LTO... This is not yet a cause for celebration, but maybe the beginning of a cause sans sacrificing the good intention of the law on what it seeks to prevent.” said Atty. Yusi.